When you join the Sierra Sacramento Valley Medical Society (SSVMS) and the California Medical Association (CMA), you hire a powerful professional staff to protect the viability of your practice. By protecting your practice from legal, legislative, and regulatory intrusions, your SSVMS/CMA membership lets you focus on what’s really important: your patients. Physicians, residents, fellows, and medical students living or practicing in the counties of El Dorado, Sacramento or Yolo, are eligible for membership. Many large medical groups, including The Permanente Medical Group, Mercy Medical Group, and Woodland Clinic Medical Group sponsor membership dues for their physician members. Others, including Sutter Medical Group, partially fund membership dues. 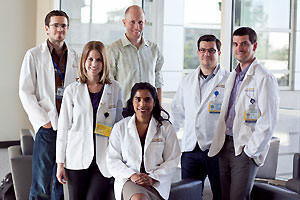 SSVMS and CMA membership is free for medical students, residents and fellows. To join, click here. More than ever, the future of medicine depends on physicians coming together—uniting—to achieve common goals. Your membership in SSVMS and CMA makes a real difference. For more information on membership and dues, contact our Membership Department at (916)452-2671 or info@ssvms.org.